Generations of preschoolers have been entertained by Eric Carle's illustrations for Bill Martin Jr.'s Brown Bear, Brown Bear, What Do You See? The beloved creature has turned 50, and to celebrate, a tap-and-touch encounter with the book's characters has been released. Cindy Wall reviews it below. 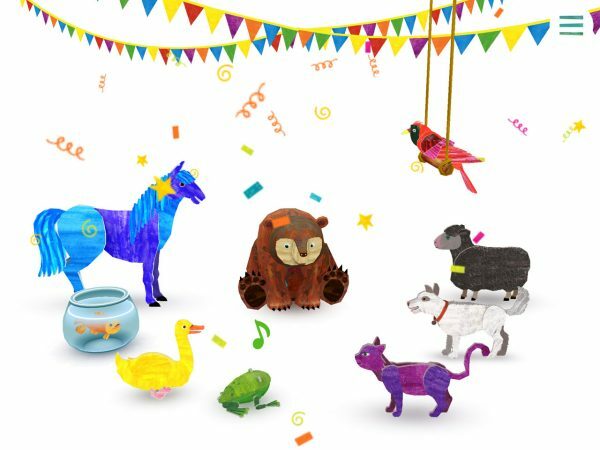 Eric Carle's Brown Bear Animal Parade (Story Toys Entertainment, iOS, $1.99; PreS) celebrates the 50th anniversary of Bill Martin Jr.'s classic title Brown Bear, Brown Bear, What Do You See? Rather than a recitation of the book's text with added interactive elements, this is a new exploration of the book's premise, set to music. 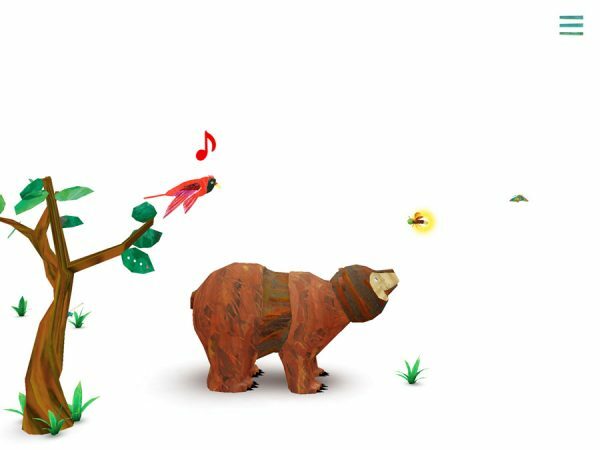 When the app opens, users are greeted with parade-themed music and Brown Bear, who, along with his friends, has been created in Carle's signature, hand-painted, vividly colored collage style. Tapping the screen sends Brown Bear on his way through a nature-inspired setting surrounded by lots of white space, passing by tufts of grass that release hidden butterflies and fireflies to the touch. Close observers will discover Carle's most famous creation from The Very Hungry Caterpillar chomping happily away in the trees. On his walk, Brown Bear meets his eight animal friends from Brown Bear, all of whom lack their original coloring until tapped. As each subsequent creature joins the parade it adds its own tune. Users may alter the lively music with a touch to the animals, or record their own sounds, but the characters may not be customized. The parade culminates with a splash of confetti. The app's noncompetitive environment and limited options will best be appreciated by young viewers. A trailer is available. VERDICT An app best suited for one-on-one sharing between a toddler and adult after a reading of the book.—Cindy Wall, Southington Public Library, CT.